MidiThru is an active 1 to 5 MIDI splitter useful for distributing MIDI clock and powering MIDI devices through MIDI connector. Eagle .sch and .brd file are available here. Bill of Materials is available here. IMPORTANT! Unfortunately v0.2 pcbs have a silkscreen bug: LM78L05 image is reversed. This issue does not affect functionality, you just need to solder LM78L05 with flat side to the left, away from DC connector. 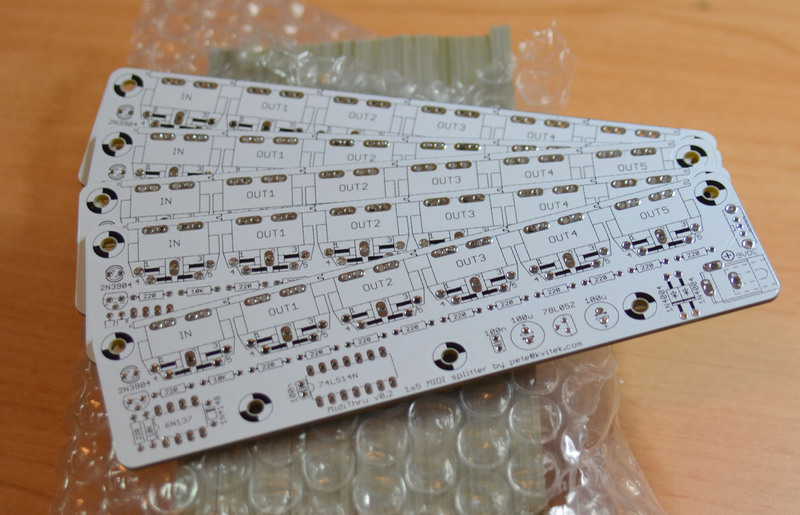 Please note that all currently shipping MidiThru PCBs are v0.3a which have the voltage regulator silkscreen bug corrected. So if you got your MidiThru PCB in or after September 2017, please install LM78L05 voltage regulator according to the silkscreen. 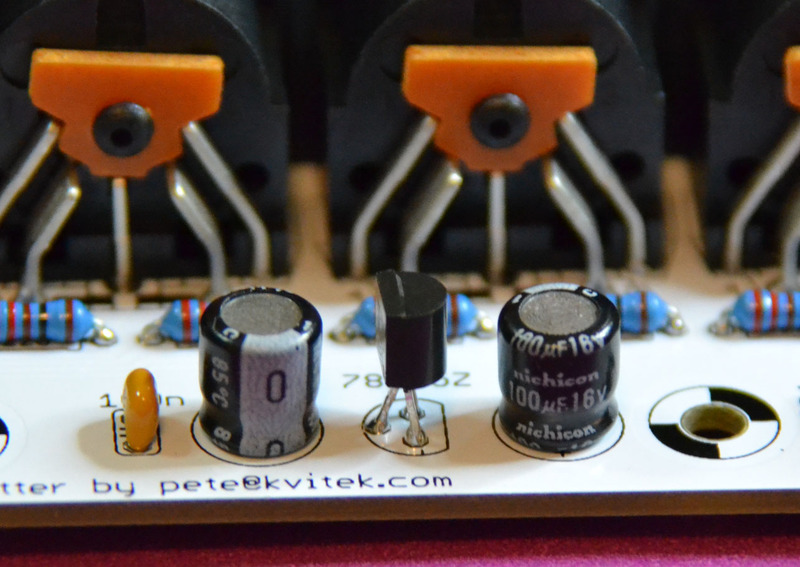 To order MidiThru, please send an email to pete at kvitek c o m specifying how many PCBs you need, a country where to ship them, and an email address to send the PayPal invoice to. Please make sure your PayPal shipping address is correct!